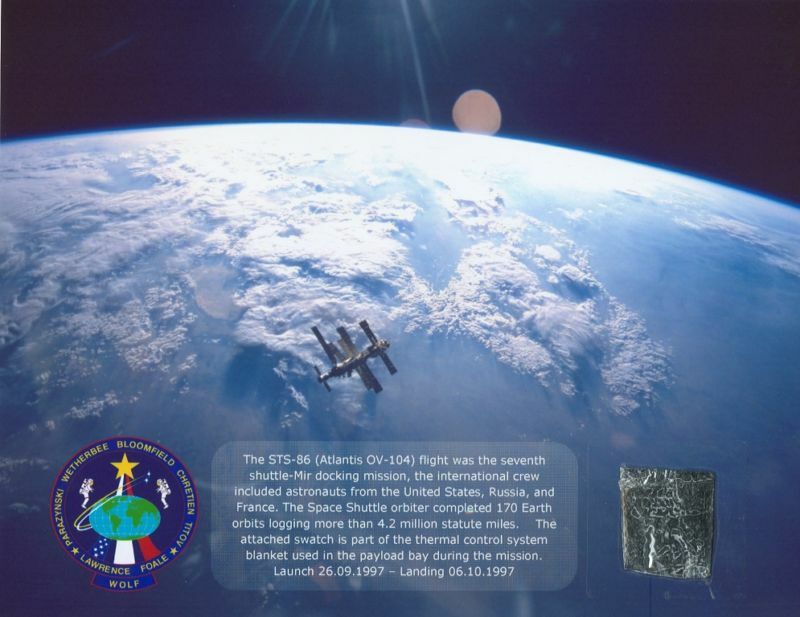 STS-86 Flown Thermal Control System Blanket Material Presentation. The STS-86 (Atlantis OV-104) flight was the seventh shuttle-Mir docking mission, the international crew included astronauts from the United States, Russia, and France. The Space Shuttle orbiter completed 170 Earth orbits logging more than 4.2 million statute miles. The attached swatch is part of the thermal control system blanket used during the mission. Buy with confidence from an established ebay seller; an inexpensive space memorabilia presentation piece ready to frame, a flown in space collectable that makes a great talking point. Ideal for obtaining an autograph on. The space shuttle is due to retire in the near future, space flown materials of this type can only become more scare and desirable over time. Please note: Each swatch is cut from a (TCS) blanket and as such the piece attached to the presentation may vary from the one shown. Sectional stitching and securing pins are contained within some but not all samples of the material. The 7th Mir Docking mission carries a SPACEHAB double module for a docking with Mir, cargo transfer and an astronaut exchange. 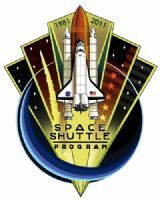 The shuttle previously Mir missions were STS-71, STS-74, STS-76, STS-79, STS-81 and STS-84. Brought to you by the SPACEBOOSTERS Online Store! The seventh Mir docking mission continued the presence of a U.S. astronaut on the Russian space station with the transfer of physician David A. Wolf to Mir. 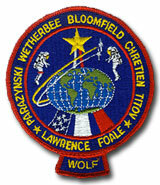 Wolf became the sixth U.S. astronaut in succession to live on Mir to continue Phase 1B of the NASA/Russian Space Agency cooperative effort. Foale returned to Earth after spending 145 days in space, 134 of them aboard Mir. His estimated mileage logged was 58 million miles (93 million kilometers), making his the second longest U.S. space flight, behind Shannon Lucid's record of 188 days. His stay was marred by a collision June 25 between a Progress resupply vehicle and the station's Spektr module, damaging a radiator and one of four solar arrays on Spektr. The mishap occurred while Mir 23 Commander Vasili Tsibliev was guiding the Progress capsule to a manual docking and depressurized the station. The crew sealed the hatch to the leaking Spektr module, leaving inside Foale's personal effects and several NASA science experiments, and repressurized the remaining modules.